Obituary* 3 Apr 2009� Frances Claudine Culpepper, 83, Jackson County native and widow of Clyde (Bunk) Culpepper, of Jefferson, died Wednesday, April 1, 2009. Survivors are sister, Marie Brownlow; niece, Sue Matthews; nephews, Stanley Brumbelow; and other relatives. Graveside services will be Friday, April 3, at 2 p.m. in the Center Grove Baptist Church Cemetery. Evans Funeral Home has charge of the service. Barrow County News, Winder, Georgia. Obituary of Frances Claudine Culpepper (#60033), published 3 Apr 2009. Clyde E. Culpepper, d. 12 Mar 1991 at 63 years in Hall Co., GA; Res. in Jackson Co., GA, 011591. E-mail written March 2009 to Culpepper Connections from Charles Gene Culpepper Jr. (#40230), e-mail address. E-mail written Apr 2009 to Lew Griffin from Keri Leigh (Erwin) Shanks: ID 24455, e-mail address. E-mail written March 2009 to Culpepper Connections from Lewis Clayton Culpepper Jr. (#60039), Knoxville, TN, e-mail address. Obituary of Fred E. Culpepper Jr. (#59411), published 29 Mar 2009. 1785� John and Elizabeth Swint had a son, John Swint, b: 1785 in Richmond Co, GA, d: October 13, 1851 in Warren Co, GA. He married Rachel Spaulding, b: Abt 1784 in Hancock Co, GA, d: Aft October 1857 in Warren Co, GA.
John and Rachel had a daughter, Lucy Ann Swint, b: March 17, 1828 in Warren Co, GA, d: November 13, 1888 in Little Rock, Pulaski County, AR. She married Robert Ryland Beck, b: April 17, 1821 in Buncombe Co, NC, d: Bef 1888. E-mail written March 2009 to Warren Culpepper from Jo Ann Usry Ward (descendant of John Swint), e-mail address. E-mail written March 2009 to Culpepper Connections from Mary ? ?, e-mail address. E-mail written Jan 2009 to Culpepper Connections from Kimberly Tandy Culpepper Johnson (#59988), e-mail address. 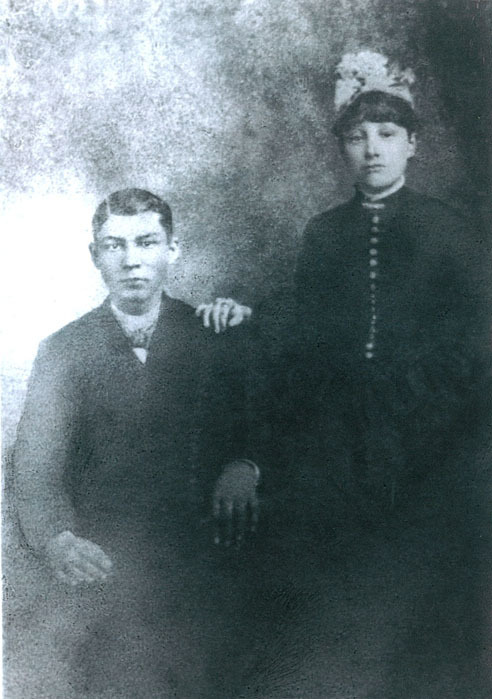 Here is a picture of David McCluskey "Mack" Parker and Martha Emily " Emma" Beckham Parker dated 11 Feb 1889. This was taken on their wedding day. 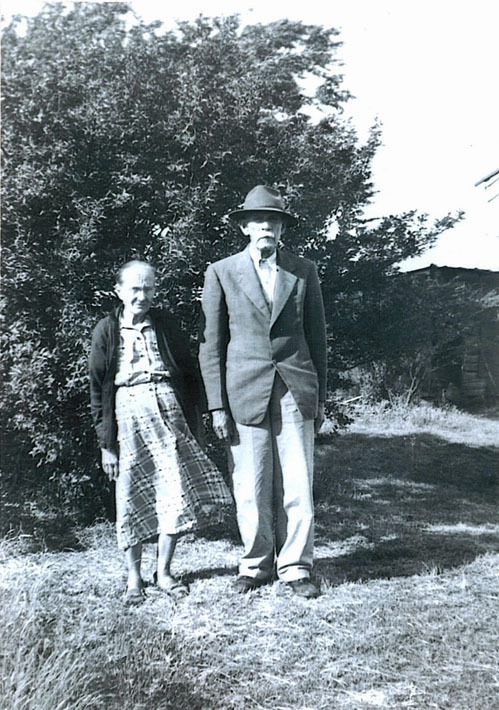 Here is a picture of David McCluskey "Mack" Parker and Martha Emily " Emma" Beckham Parker dated prior to Mack's death in July 1955..